I'm curious to see if next season they take an off year like the past two B&Ms or they make another addition. There is now a new hill beside the wave pool plus an Action Theatre and Dinos area that will presumably be dormant for the 2019 season. Btw, has anyone seen any construction starting for the "2020" hotel? Canada's Wonderland released their operating calendar for the 2019 season today! You can check it out here. Opening day is scheduled for Friday, May 3rd, 2019. Marking my calendar as a snowstorm brings the city to a standstill. I looked at the website under the early ride times section and the 3 main areas are: leviathan, behemoth and lumberjack/ vortex. Do you think they have forgotten to update the site with yukon striker or is it not going to be part of the ERT schedule this year? 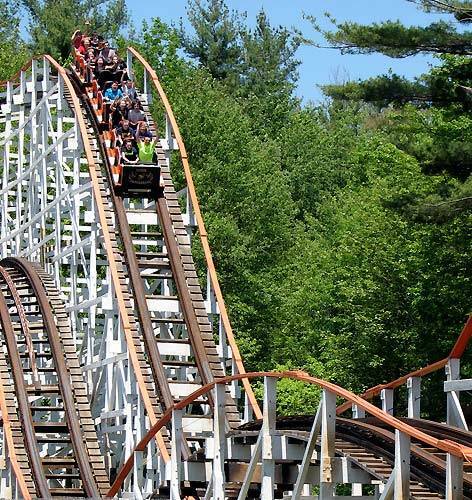 "From 9:00am - 10:00am on Sundays during our 2019 season, Season Passholders and Gold Passholders get special early access to some of our most popular attractions including Leviathan, Behemoth, and our all-new rides world recording breaking dive coaster, Yukon Striker!" Doppel Looping wrote: Do you think they have forgotten to update the site with yukon striker or is it not going to be part of the ERT schedule this year? Literally the first thing on the page under the heading says "2019 Early Ride Time information COMING SOON!" with "COMING SOON" in all caps and an exclamation point. I'll be there on Jun. 4th! Coming all the way from Alabama just to visit Canada's Wonderland for the first time! ThemeParkJunkie51290 wrote: I'll be there on Jun. 4th! Coming all the way from Alabama just to visit Canada's Wonderland for the first time! PS: For anyone traveling a super long distance *just* to visit Wonderland I really do want to stress again that Niagara Falls is 90 minutes away. I'm strongly debating that option considering the last time I visited Niagara Falls I was ten years old. And I would love to get that credit at Marineland as well. But who knows . . . I might surprise myself. Usually I'm one to prioritize coasters over sightseeing. As unique and enjoyable as Dragon Mountain is, Niagara Falls is undoubtedly the thing I'd prioritize in that area.